Intersted in OKI 2019? Enter your email and we'll notify you when registration is open and create a SWON account & we'll put you on our mailing list so that you never miss an announcement! 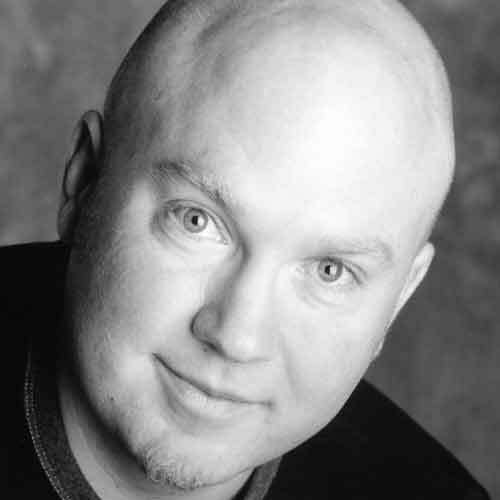 Aaron is a New York Times Bestselling Author of many highly acclaimed books including: DUDE!, CREEPY PAIR OF UNDERWEAR!, CAVEBOY DAVE, NERDY BIRDY, NERDY BIRDY TWEETS, and the Caldecott Honor Medalist CREEPY CARROTS! He has a passion for kids' books and seeing kids reading them. He regularly makes time to visit schools, where his hilarious and hands-on presentations keep kids spellbound. He lives in Chicago with his wife, two kids, five cats, and anywhere between zero & ten goldfish, depending on the day. Visit Aaron at aaron-reynolds.com. From carrots (and underwear) that are kind of creepy to an average sixth grader who's destined to become an international demonslayer, the world of youth literature is full of fun, challenging, and diverse stories. 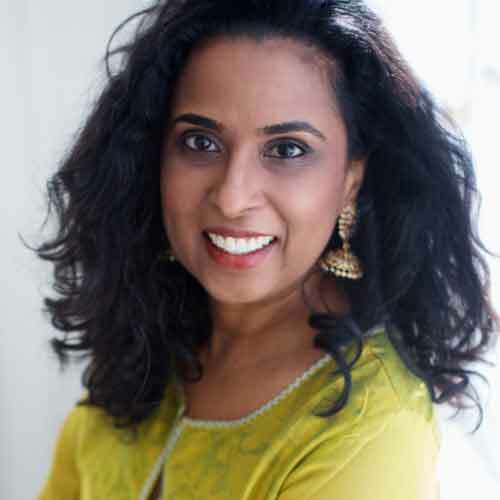 Join librarians, educators and lovers of children's books as we explore the fantastical minds of two amazing children's authors - Aaron Reynolds and Sayantani DasGupta. Full agenda and conference schedule to come. Check back for more info! Incorporating children's literature into curriculum to motivate and enrich learning. Using children's literature to promote reading and literacy among children and young people. Supporting and promoting diverse perspectives and multicultural influences. Increasing awareness and use of public libraries through unique programming. Promoting literacy through successful collaborations between public libraries, schools and community partners. Supporting and promoting authors & illustrators of literature for children and young adults. Registration is not yet open. More information to come. Save the date! 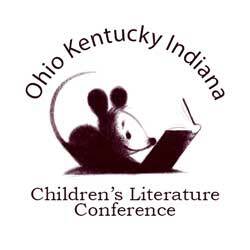 The first Ohio Kentucky Indiana (OKI) Children's Literature Conference was held over 20 years ago in 1996 & featured illustrator Will Hillenbrand (who designed OKI's signature mouse!) & children's poet and author J. Patrick Lewis. In 1997, OKI debuted its first theme: "Connecting the World with Books". Since then, it has continued to bring quality authors, illustrators & presenters to the tri-state area for the benefit of teachers, librarians, educators and others serving youth. Take a peek into OKI's past conference themes, speakers and workshops at the OKI Archive. PDF versions of all past conference brochures are available. Explore past conferences here (Google Doc). For pictures form past conferences, check out OKI on flickr . For a list of local authors and illustrators click here (Google Doc). Established to honor the late Charlotte Decker, this award is designed to encourage others to enrich the lives of children as Charlotte did through a lifetime of work as librarian, Academic Challenge coach, and volunteer in professional organizations promoting the enjoyment of reading among young people. Nominees should be individuals whose extraordinary efforts have encouraged others to support youth literacy through time, service, and philanthropy. Librarians and classroom teachers serving the needs of youth are eligible for this award. To nominate a librarian or classroom teacher, use the online application. The recipient will be recognized at the OKI Children's Literature Conference and will receive free registration to the conference at which they are recognized. Tina Moore, founder and co-owner of Blue Marble Books (along with her husband, Peter), passed away in 2016. Tina was one of the tri-state's most prominent children's literature experts, and friend of a great many children's book authors and illustrators. She served on the Board of Directors of the Association of Children's Booksellers (ABC) and was a founding member of the trade organization. She was recognized for her contributions to area literacy with the Silver Gertie Award (1989), and she was named one of the Women of the Year in Northern Kentucky (1995). The Moore family would be pleased if you would like to make a donation to the OKI Conference in Tina's honor. To donate, please visit the Tina Moore Memorial donation page on the SWON Libraries website. You will be able to pay via check or credit card. You can contact the OKI Committee by email at oki@swonlibraries.org. If you have any questions about or problems with the registration process, please contact SWON Libraries Consortium at info@swonlibraries.org or call 513-751-4422. Special Accommodations: Our goal is to make our programs accessible to everyone. Please request ADA services at least two weeks in advance of the conference by contacting Dr. Barbara L. Zahler at 859-344-3358.